For the last six months or so Caterpillar will often choose games over toys. 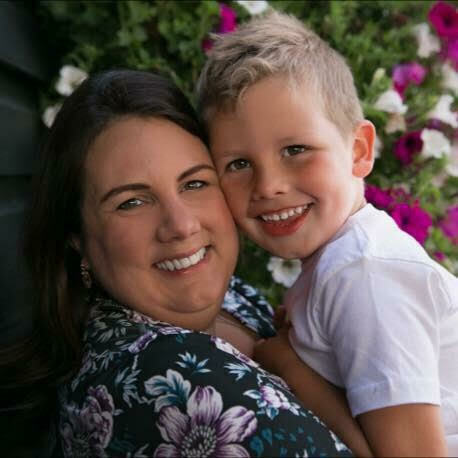 I think a big reason is that it ensures we will be there to play with him, which is certainly easier and more fun than playing alone. I’m more than happy about this as it suits my own parenting style to play games or do activities as opposed to role play. I’ve always been a big fan of Orchard Toys, even before we had Caterpillar, because their games always have a good educational element and, frankly, are very reasonably-priced. My son received Orchard Toys’ Dotty Dinosaurs as a birthday present back in April and I don’t think we’ve had a single visitor since that hasn’t been coerced into a game. So when Orchard Toys asked us to review a new game we obviously leapt at the chance. Follow That Car! combines elements of two classic games in my opinion; dominos and Uno, but with many unique twists and fun artwork. 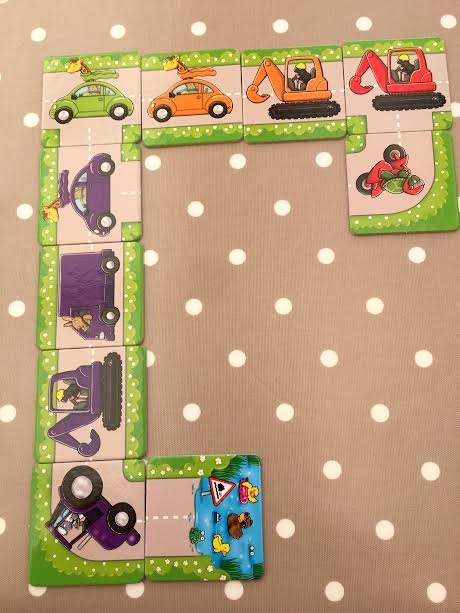 It’s a very simple set up with no board to worry about and no counters or dice to lose, the game simply comprises 36 vehicle cards, 3 roadblock cards & 1 roundabout card. Each player is dealt five cards (face up, which is really helpful when playing games with younger children as you can help them without cheating!) and the rest of the pack left facedown with the first card used to start the game. Players then must build the road with each turn, but only laying down if they can match either the colour or type of vehcle. If they can’t match they must collect a card from the pack and play moves on. The winner is the first player to lay all their cards (or who has the least cards when all roads are finished or blocked). The simple concept – Follow That Car! 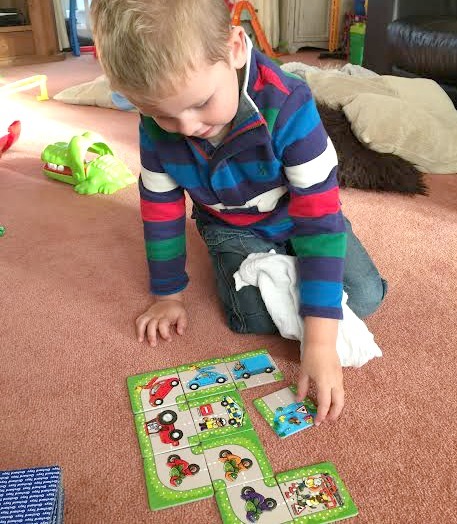 is aimed at age 4 and up but at three and a half my son was able to understand quite quickly with a little initial guidance. The roadblocks! Competative little monkey that he is, Caterpillar most enjoys using the roadblock cards which prevent your opponant from laying next time. The price – at only £7.50 this is a great little game would make a brilliant birthday party present or stocking filler. We really enjoy Follow That Car! and it’s become a new favourite right next to Dotty Dinosaurs and Caterpillar’s other fab games. Because of the matching and building elements, I think this game is a great foundation for more complext games, using similar ideas, in the future. Disclosure: We received Follow That Car! in exchange for an honest review, words and opinions are all my own. Ok I’m pretty certain this is going on Noahs Christmas list, I love games like this and he’s a huge fan of all things automobile so this will be perfect. Fab review. Ahh! 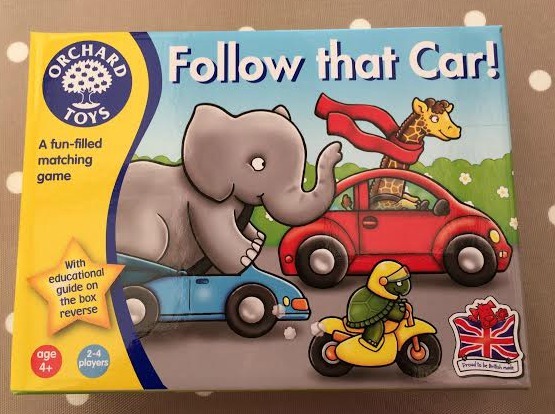 Orchard Toys are just wonderful…This looks like a fab game. Perfect for Christmas. Kim Carberry recently posted…Mr Tumble’s Christmas Party! I love Orchard Toys! So imaginative and such good value. This one looks great although I think my son might be slightly too young for it yet. Thanks for taking time to review this game. 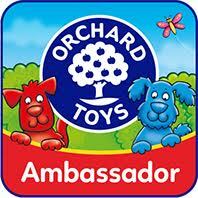 We have lots of Orchard toy games and this sounds great!